Jobboard Finder allow recruiters to post a job through our job board search engine. You can pay online or ask for a quotation by email and receive a proposal under 48 hours business days. 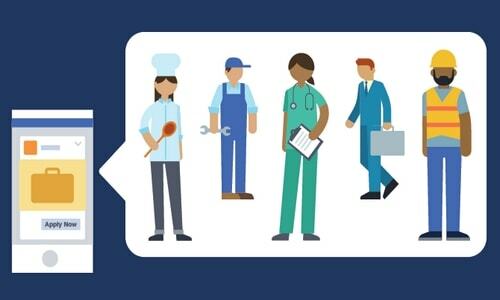 What is job posting ? Job Posting is a way to advertise your jobs on any job board, anywhere. It is a way to distribute your advert through several channels simultaneously and quickly. You can post to specialist and generalist job boards alike, and integrate multiple media into your recruitment campaign, saving yourself valuable time. 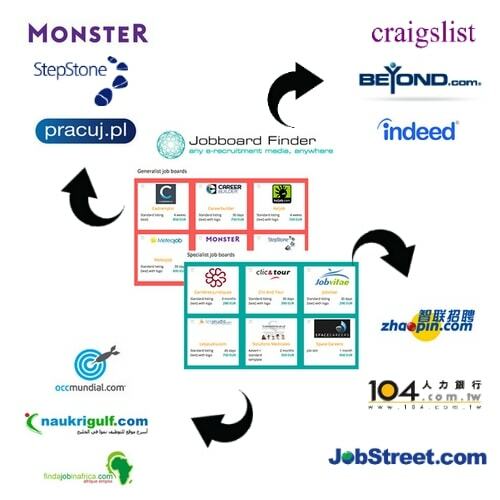 Why choose Jobboard Finder for your job posting ? We post on over 900 job boards in 200 countries worldwide, and find you the perfect talent pool for your recruitment needs. If you are looking to reach out to a global audience, we’re the people for you..
By using Jobboard Finder you streamline the job posting process, and find results that are relevant to you, fast. Save yourself hours of trying to guess where your advert will gain the most exposure and get the results you need, and let us tell you. We want you to cut back on your recruitment costs. That’s why with us, instead of paying admin fees on lots of different job board sites, you’ll pay just once to post your advert on the media that’s best for you. Don’t bother translating your job advert or trying to decipher a site in a language you don’t understand: leave that to us. With Jobboard Finder, all you need to do is provide us with your advert and we will contact our partner job boards to get it posted, no problem. Our Business-to-business system saves you previous time, and means you have one less thing to worry about when recruiting abroad. You fill in our form, telling us your job description and where you want to post, and we deal with the rest. Relying on a wealth of expertise, we can advise you where best to post your job ad and then you can sit back and let us sort it for you. Once your advert is submitted and paid for, it gets published on your desired job board within 48/72 hours*, and you’ll get notified by email when it’s up and running. Your candidates will apply directly by email, on your career website or directly on the job board dashboard. Learn how we work with our rates. What do Jobboard Finder’s prices include? In 95% of cases, the price of our quotes relates to the base price of the medias that we buy for you, at the lowest market prices. In the other 5% of cases, especially for difficult distributions in Asia, we apply a 10% service fee which goes towards the currency exchange and the processing of the file. Do you charge for your advice, posting and follow-up service? Our service is never separately billed, it is included in the price of the media purchase. How does Jobboard Finder earn money? Every year, Jobboard Finder buys hundreds of adverts all over the world, and as a result benefits from special offers saved for professionals. How much do you charge for posting on a job board with no fees? 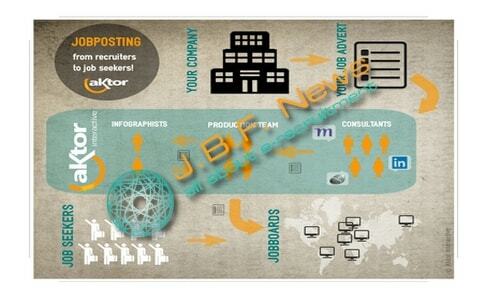 If we are distributing a job advert on a free website, Jobboard Finder applies a minimum charge of 50€ per post. How do you ascertain which job board is most appropriate for my needs? 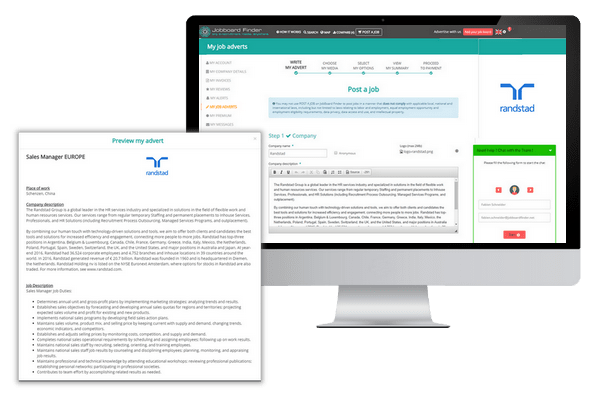 Jobboard Finder has accumulated a wealth of expertise in analysing the efficiency of job boards, based on a result base of tens of thousands of adverts. This experience allows us to make reasonable predictions on the most relevant media, taking into consideration the type of post and desired geographic location.